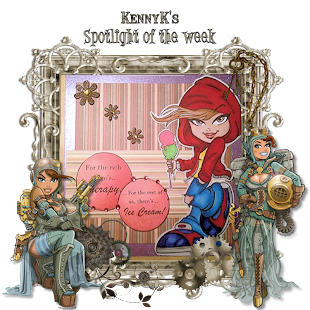 Well today I have another to show you - this one being SO much fun to make and look at - it also has some real funky details which ill go into, but first, here is my second ME board - something i have always been - The Class Clown! So, where do I start?! The background was a piece of card i picked up at my local store ages ago and always found it was too bright and offensive to use - until now! I cut the letters (the 'L' is meant to be backwards) using my portrait and coloured with my markers and stickled it to within an inch of their life! 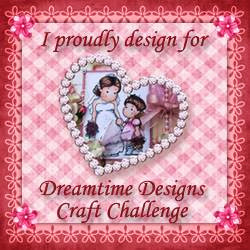 Gorgeous...Thanks for playing along with us at Totally Papercrafts this week. 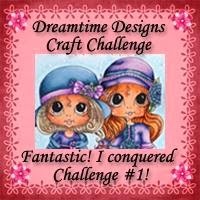 Thank you so much for your entry to the DT Call for Dreamtime Designs Craft Challenge & for entering into the blog candy :) I just need you to add the badges for me to your blog & link them up to mine if thats ok so that it will be fair to everyone else. 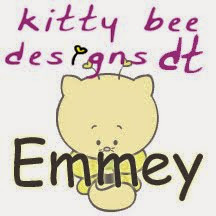 Good luck with your entries hun :) Fantastic work. Hugs, Lisa. Thank you for playing along with us at Marvelous Magnolia! Great card! 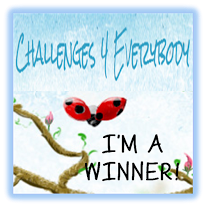 Thanks for playing along with the Stamp and Create with Magnolia Back to School Challenge. We will have another fun one tomorrow. We hope you will play along again soon!